This session, “Mapping ICCAs”, is the fourth of the series: It is presented by Ghanimat Azhdari, ICCA Consortium Council Member with special responsibility for Central and West Asia. 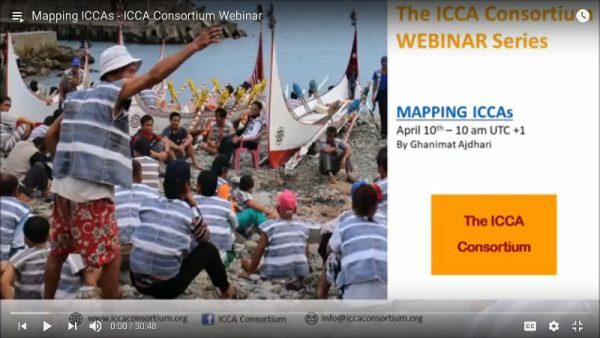 Ghanimat is detailing in this video what is understood as community-based mapping and why it is an absolutely crucial approach at the moment of mapping ancestral and/or community territory. She is also sharing and discussing various methods of participatory mapping, from maping on the ground to geo-referenced mapping.